PSG midfielder Adrien Rabiot is one step closer to signing for Real Madrid next season. After so many doubts about what his future held the midfielder has chosen the offer from Los Blancos, discarding the offers from elsewhere - including FC Barcelona. According to Canal+ France's programme 'Late Football Club', Rabiot has agreed terms with Zidane's side and will sign his new contract very soon. 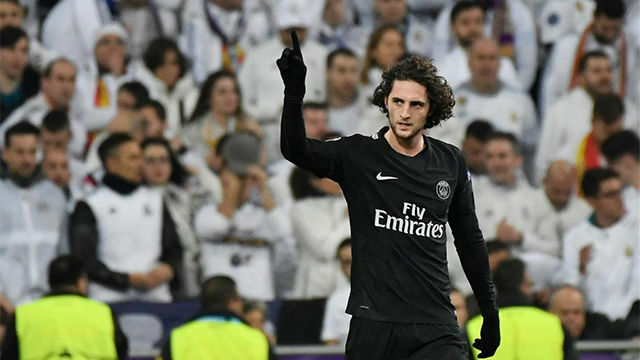 Rabiot will be the first signing as Madrid look to reshape their squad for next season after this one fell way below expectations. Zinedine Zidane is a huge admirer of Rabiot and has big plans for the young midfielder. Rabiot has been removed from the first team picture and was fined by PSG after he was spotted partying the same night his team was eliminated by Manchester United in the Champions League.